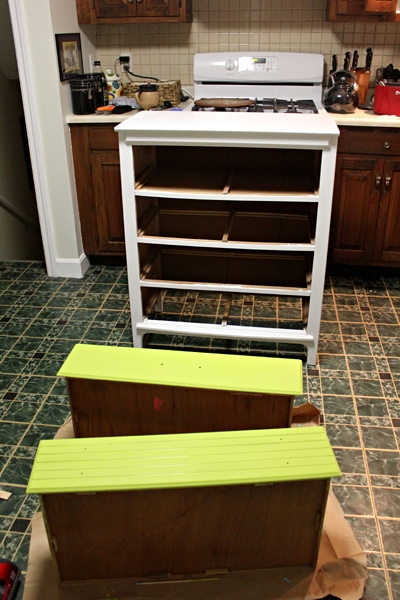 Above: Hardware removed; drawers sanded lightly. 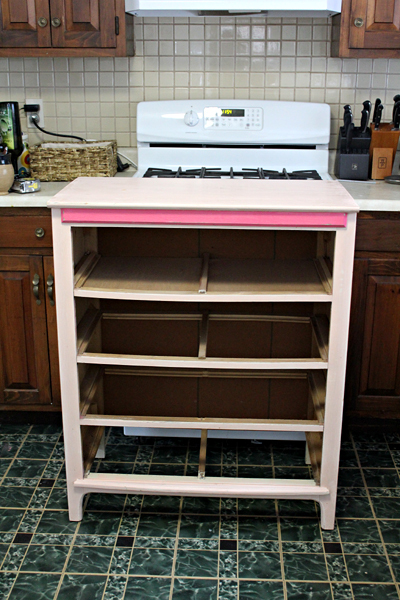 Above: The carcass is white again, after being peach, beige, and white at three different times. 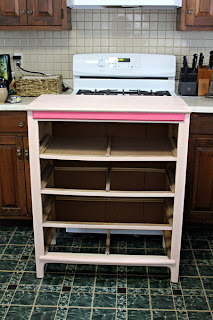 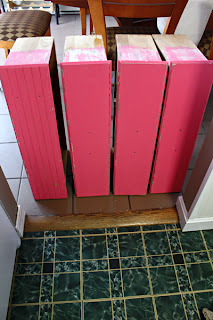 I should have primed the drawers: it took 5 coats of apple green paint to totally cover the "hot pink." 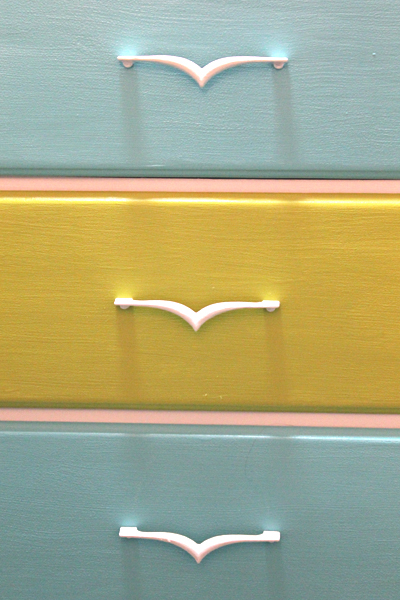 Above: Preview of the color scheme. 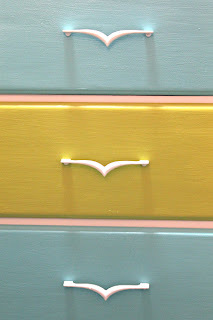 Don't the drawer pulls look like seagulls now that they're painted white? 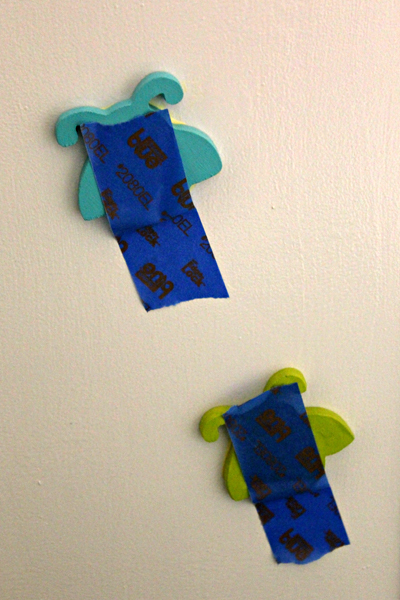 Above: Given our street name, I couldn't resist gluing a few wooden ladybugs to the side of the dresser. 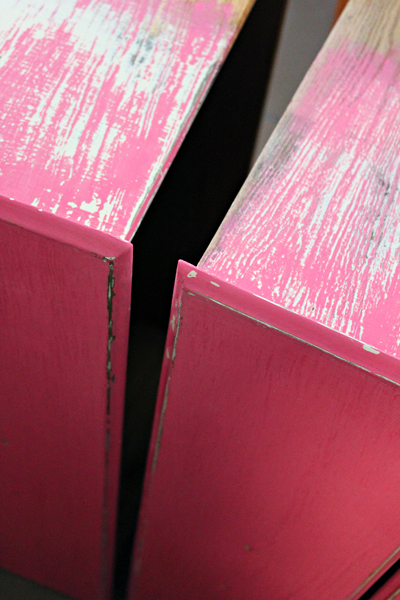 Stay tuned to see the big reveal!